These smooth finish softwood deckboards are machined from ex 38mm x 125mm quality redwood timber blanks. Redwood timber exhibits tighter growth rings and is denser than the timber used for fencing and carcassing products. After machining the redwood decking boards are pressure treated with next generation Tanalith E preservative. The deckboard machining and timber treatment is conducted in Britain under rigidly controlled vacuum pressure timber impregnation plant. This stringent manufacturing process has been approved by Lonza Chemicals and means we can offer a 15 Year Manufacturers Warranty. See below for details. When machined the 38mm x 125mm blanks finish at approximately 32mm x 122mm. We aim to always keep 3.6 metre and 4.8 metre lengths in stock but the Scandinavian mills often substitute 3.9 metre and 5.1 metre lengths instead. 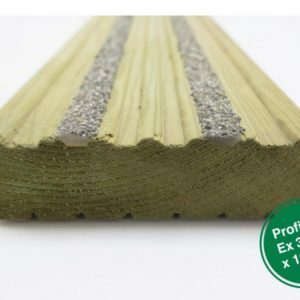 These 32mm finish smooth boards are very versatile, they can be used to frame decking areas that use 38mm profiled boards and they can be positioned on edges where there changes in level or to break up large decking areas into smaller sections. 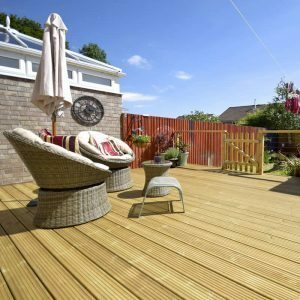 Many customers use them as a ‘chunky’ handrail in balustrade installations –ideal to place your drinks on – as capping for small walls or for a slatted bench or table top. We recommend deck joists being fixed at 400mm centres, but you could space them at 500mm or even as far as 600mm if necessary. Each board should be secured with 2 quality deckscrews on each joist and most importantly every cut end must be treated with Ensele end treatment. 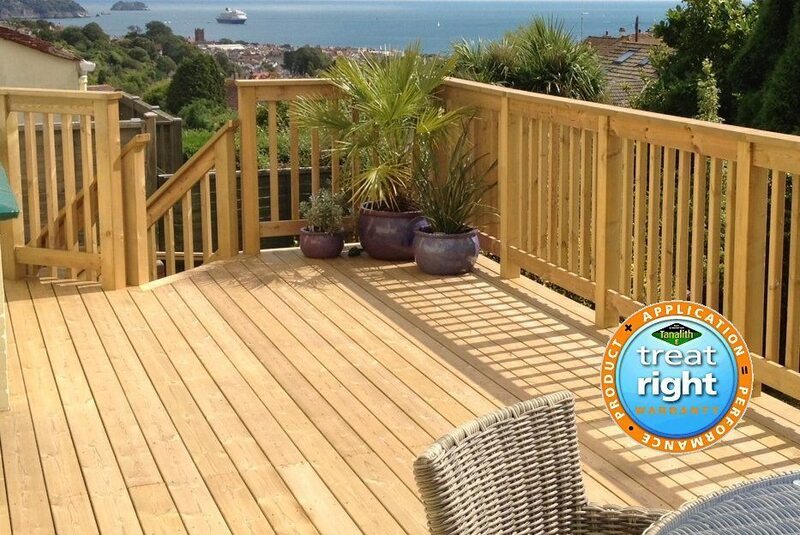 When supplied the deckboards normally appear light green but then mellow to a light honey brown after being exposed to a few weeks sunlight; after 18-24 months this may change to a grey colour which is perfectly normal. 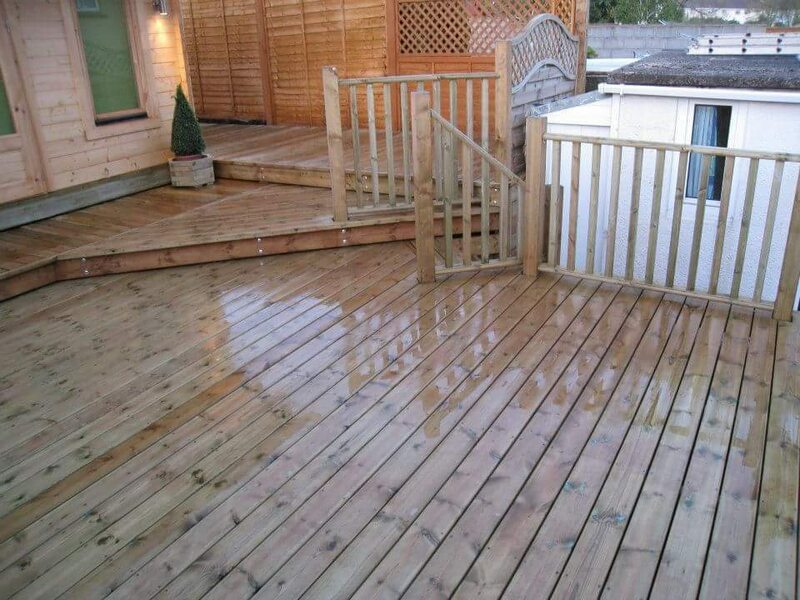 Your deckboards will benefit from basic maintenance once or twice a year. A gentle wash with a hose and then brush away any debris or algae that might have established itself. 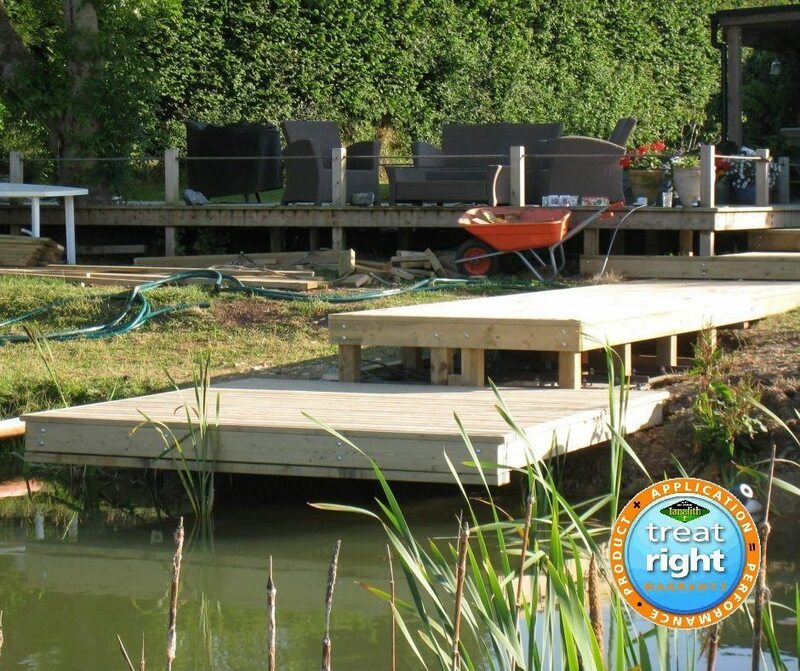 Ideally the boards should then be treated with a good quality decking oil to act as both a water repellent and to slow down algae growth. 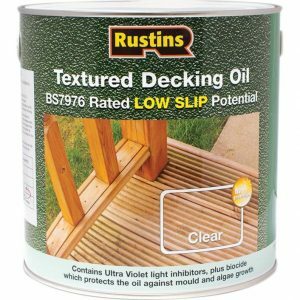 At Southern Timber we recommend Osmo and Liberon decking oils. Full terms and conditions for this Manufacturers Warranty are available on request – you will need to comply with these in full in order to take advantage of any warranty offered by the Manufacturer. 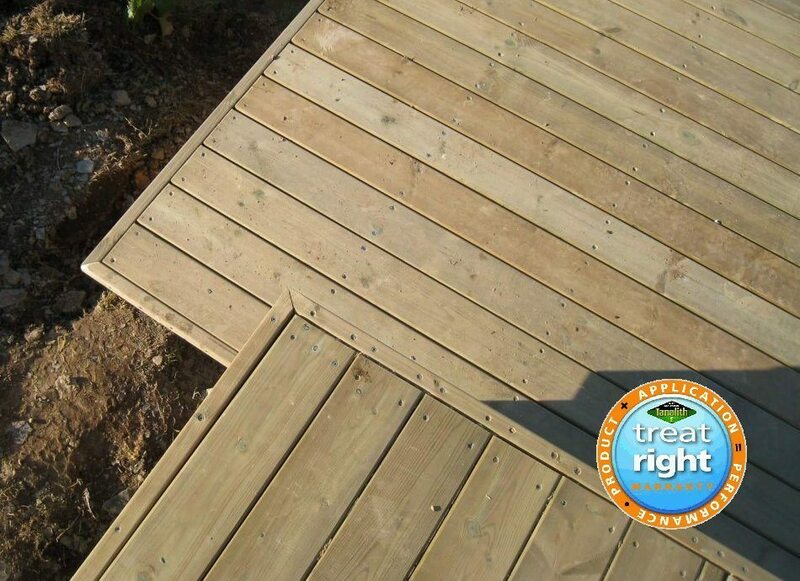 Southern Timber is not a party to any warranty offered by the Manufacturer, so cannot accept any liability.